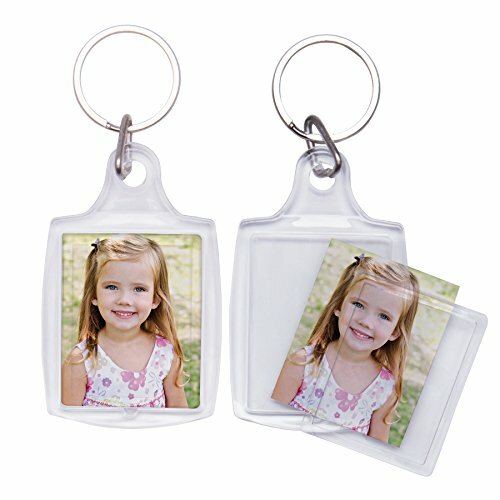 761 Snap-In Keychain Insert size: 1-1/4" x 1-9/16" Easy snap-in assembly Holds two photos, one on each side Call for custom imprinting options #761 is individually polybagged which means each is in a plastic bag #761US is bulk packed which means they come packed layered in the box This photo keychain holds a 1-1/4" x 1-9/16" photo. It has easy snap-together assembly. They are individually polybagged and hold two photos each. They are sold in cases of 100. This photo keychain is great for giveaways and can used for keys or on a backpack. This photo keychain is great for giveaways and can used for keys or on a backpack. View More In Keychain Frames.